If your focus is on lymphatic movement, you need to read this page. The motorized linear machines usually start at 20 HZ or higher. These do not go to 2 to 3 HZ. 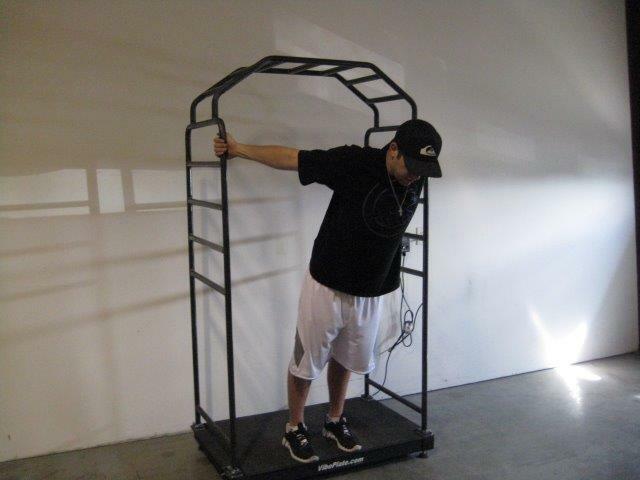 Decide if you are doing vibration therapy or for core strength before you decide. If you are looking to build core strength and bone density only, the models that start at 20 HZ are fine. Many people cancel their order when buy a machine that doesn't go under 20 HZ. If you don't need a machine that goes to 2 HZ you will save a lot of money. Low frequency lymph workouts is not the same as high frequency bone and strength workouts. as well as those that are not 100% only up and down vibration. which is just the opposite from the way the motorized models work. versus. Each has their own pros and cons but both can give the results but there is no one machine fits all. you land. 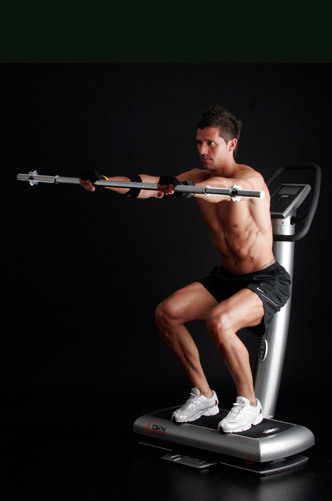 If someone is 200 pounds and they are doing jump squats, the machine has a stress of 600 pounds. versions of motors for their machine. It's a waste of money to buy a machine that's overkill. you perform dynamic exercises on it. I can't even lift enough weight that would bottom this machine out. enough and one that's not overkill. With the right amplitude, you want to squeeze each of the one way valves in the lymphatic vessels. Depending on the health of the person and the viscosity of the lymph fluid, G force "popping you without the right amplitude can vary in effectiveness. Some people can get away with a lower powered, lower amplitude model and some people need more flushing power at lower or higher vibrations. If there is not enough milliseconds to allow flushing and the "milking motion" to circulate the lymph, you are just vibrating and not pumping the one way valves. DON'T GET SCAMMED! There are many types of linear motors. Each has its own unique feel. Some have more ballistic impact and others are more smooth. Some work off momentum, others don't. Some have a more gentle feel, others are more harsh. (This gives the pop at the bottom. NO springs either. These are not being made as much anymore. The rotary motor is connected to the plate. Nothing to cushion the plate. These have a fixed amplitude since its connected to the motor. as the crank type. Not being made as much since linear models came out. You have to bend your knees when workout out and never straiten them. It even says that in their manuals. These are noisier but not as noisy as the crank type. plate causing it to move up with each blow. And, finally the Lineal motor. This type has the most gently, springy feel of all plates. Its theraputic in a sense that it move the entire body, not just up to the hip joint. bopping on a pivotal model. but on a pivotal you really can't sit on it. 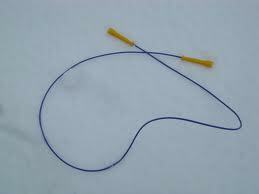 For theraputic reasons, this type is the most popular. practitioners you will see for yourself. On this type, you can just stand and all the tisues in the body get the G force vibration, from your feet to your head. If you have a very powerful motor.. the motor can turn slow. its takes more power to move a plate with a person's body 10 times up and down per second than 25 times. In order to move the body at a low rpm, you have to work against momentum. 40 to 50 hz is the easiest on the motor. A motor moving a plate 60 hz needs much higher amperage than those that only go up to 50hz. 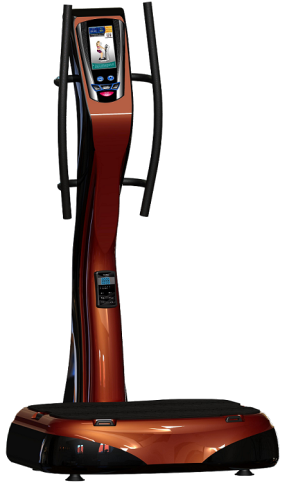 The biggest motor of all the WBV machine on the market is around 5 amps, the smallest only 1amp. In order to move a heavy person at 10 hz per second, it will probably require a dual motor and as close to 5 amps. It is very hard to do dumb bell curls when the plate is moving side to side. Having two dumb bells in your hand when you natural tendency is to hold onto the bar makes it very difficult. Linear, in this instance, is preferable. Many come with straps and this is usually a good substitute for weights. What’s the best frequency setting for a vibration machine? Why do pivotal machines have a timer for 10 minutes while vertical machines sometimes max out at 2 minutes? A pivotal machine usually has 10 to 14mm amplitude while vertical ones are around 4 mm. Does that mean a pivotal is better? These are only some of the questions that people have when they are looking to buy a vibration machine, or when they’re looking for the right exercise program. I hope I can answer the question "what’s the best frequency setting for my vibration machine"? If you’ve ever lifted weights, or walked on a treadmill, you’ll know how important it is to get the right settings. Lifting weights requires the right amount of weight, lifted the right number of times for a certain period of time to see any benefits. Lifting weights that are too heavy, or too light, or lifting fast or lifting slow will affect how you’ll improve with your health and fitness. Treadmills also have different speeds, inclines and programs. Which would be the best for you? As you will see, vibration exercise is no different. 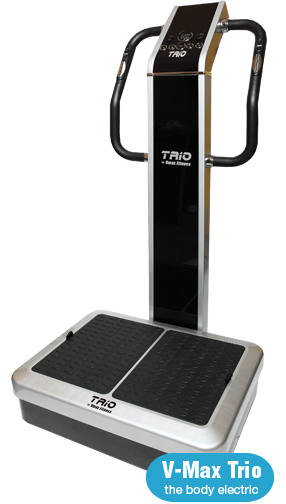 One of the key factors of vibration training is the frequency of the platform, the number of times the platform drops up and down. Vertical platforms typically go from 30 to 50 Hertz, while pivotal machines usually go from 5 to 30 Hertz. There are some machines on the market that go above or below this, but that’s the exception and not the rule. The difference in the frequencies is dependent on the nature of vibration. An oscillating, pivotal machine provides a different type of movement than a vertical unit. Also, the frequencies will be different. 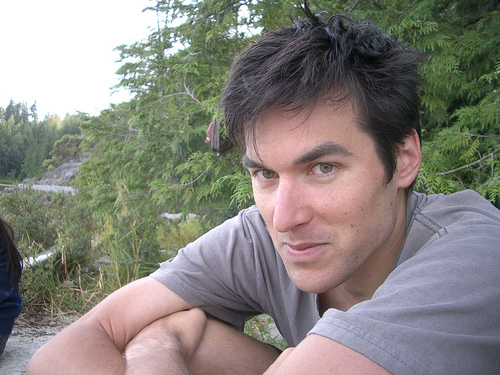 If a person is more fit, starting off at lower frequency and amplitudes will produce no effects. The person may become uninterested considering their goals of harder effort will not be there. I’ve seen this many times with those that workout or are athletes. For these people, we quickly begin to adjust their frequencies based upon where they feel they are feeling that it’s just right. Most of the time, increasing the frequency and/or amplitude will lead to one range where that person feels they are getting a good muscle contraction effect from the vibration. One thing to note is that the person is not exercising "harder", as they originally thought they should be. They believe they will be doing dynamic exercises with added weight loads since the vibration feels easy to them. However, by increasing the frequency and amplitude to their needs, they are often surprised that their muscles get fatigued so quickly, even being in a static posture. What we’ve basically done is find the individualized frequency of that particular person and initiated vibration exercise at that specific frequency. Most of the football players put a linear machine right next to each bench and workout machine. Linear can help increase the workload by the percentage based on the weights they are using. Picture curling a dumb bell on a platform going side to side. The pure linear makes it much easier than on oscillating machines. 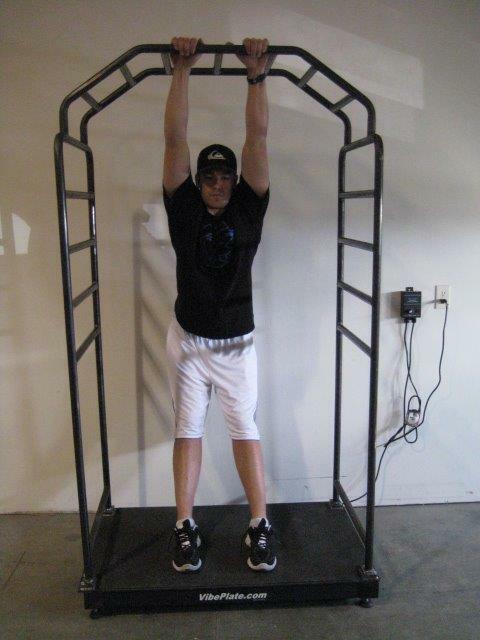 On a tri-motion machines you are limited to using the straps while on linear, you are not limited and can use free weights and a wide range of dynamic exercises. Vibrating handlebars and why people is ask for them. 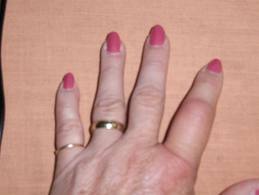 The upper vibrations are enjoyed by people with tightness in the fingers and hands as well as inflammation in the arms. Most of the platforms people stand on don't deliver enough vibration to the arms and hands and now they do. When I held on to the bar I could feel my whole arms tingle from blood circulation that I never felt before. Holding onto the vibrating bars also can help to work out the upper body muscles as well at the same time as doing leg exercises. 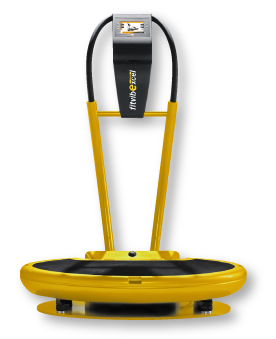 Only a few machines have a vibrating plate as well as the entire rail and handle bars. It's a nice feature to have if you want to work your upper arms and get rid of extra tension. 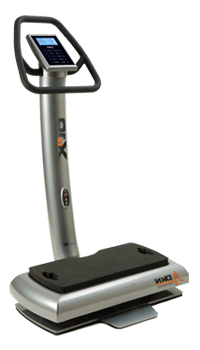 Depending on your weight and state of health this would determine which type of vibration machine to get. Each of different brands have different amplitudes and different vibrations per seconds depending on your weight. Some you can set at 30 vibrations per second but if you are 100 pounds and someone else is 200 pounds, the machine won't adjust to the body weight. A model with a very powerful motor will help give more accurate vibrations per second as the motor doesn't slow down like those with cheaper motors. The main goal of using a machine is to first get rid of a sluggish lymphatic system by creating a vacuum in the lymphatic vessels with the one way valves that pump and flush the wastes out. Most people starting out have poisoned blood from not eliminating wastes properly. I can look at someone's skin and if inflamed or broken out can instantly know if they have a blood problem. Just like the blood flow stops in the capillaries and the air stops in the cells in the lungs, the lymph stops in the liver and then after being processed it goes into the gut. Lymph that is stagnant slowly or never reaches the liver as it is not pumped as fast and gets absorbed into the fatty tissues, breath and skin instead. Many people have a whitish haze on their tongue from this also. A good probiotic can help facilitate the lymph movement so that it gets eliminated properly in the gut without being reabsorbed back into the body which would be a waste of time. The liver can process a lot of lymph unless degenerated but the intestines sometimes need a little assistance from a quality probiotic. A healing crisis can happen if the poisons in the blood are not being properly purified from the liver going into the intestines. Many people do a liver flush while using the machines also. It is very popular. Many people are on oxygen machines and all they are doing is feeding the poisoned blood with more oxygen making an unhealthy body in a degenerated state keep living the same way. Eliminate the filth in the body and not just rely on the oxygen as a crutch. Getting rid of the wastes from the lymph can bring vitality but can also do something bad. It can just as easily destroy us if we can't process the wastes and detox after moving the lymph to be processed. Many toxic people are getting on these and have no idea what they are doing. They are just following what their salesperson told them that has no background in what has worked and what hasn't for people. Not all of them but most that people talk to that come to me. There is such a high turnover at these companies and when I often call to find out why they told a customer something, Guess what, they no longer work there. Exactly my point. Vibrating up and down against gravity, vertically, can move about 4 teaspoons of lymph per minute that ends up flushed to the liver. If someone is on the machine for 10 minute, thats 40 teaspoons of lymph being dumped into the liver. The liver can only hold so much fluid. You can't dump more than it can hold or it will pass through and not be processed. Then the unprocessed wastes go into the gut and this is when problems occur. Naive people who don't want to learn from someone who has experience with people that do it wrong who are in a health crisis are usually the ones that don't listen. Even if they don't agree with something that someone else didn't tell them first it is wise to listen or talk to people who went through what they are going through. Again, most people don't have friends that have these or know people so they listen to their sales people who many all say that the brand they sell is the best. Every company's sales pitches seem so convincing until you hear their competition's pitch and then it gets all confusing. I know all the pitches and know which ones are accurate for some people but not others with different issues. Some machines can have the same specs but when you get on them they feel totally different and do not match up to what they claim. Each of the different linear brands seem to operate differently. Some seem to flush better than others and some are more jarring and the plates are so thin that you don't feel stable on their plate depending on your weight. I will help those who want a machine pick out the machine that is best for them. Some people need lower amplitudes and some more. Some need quicker vibrations and some need less per second. 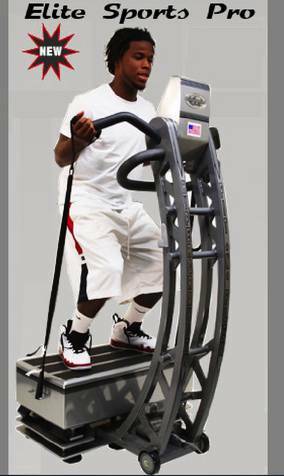 Some people want to be able to stand with their legs further apart without stressing the motor and others simply just want to stand on them which doesn't require such an expensive machine. Others are doing more dynamic exercises which require a different type of motor. The most important thing is that you get the right machine that is accurate and you don't go into a healing crisis by not knowing what you are doing. There are linear models that are sonic, motorized, and some that kind of levitate with the newer type like the mono rails that use magnets (electromagnetic induction). Each one has different amplitude capabilities. The thing to look at is which ones lower or raise in amplitude when the frequency goes higher or lower. Motors keep a constant amplitude while the electromagnetic induction type can minimize the amplitude as the frequency raises. If you are focusing on lymphatic movement or more for gaining muscle or bone density this can be a factor in choosing a machine. 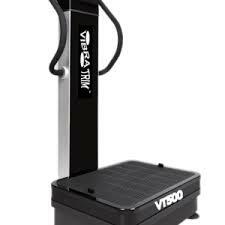 Before buying a machine, ask yourself if you can jump rope for 30 minutes to an hour on a hardwood floor, then you might want to get a vibration machine that doesn't make you feel like that after 10 minutes. Many people who have back problems who buy the wrong machine end up returning them anyway. 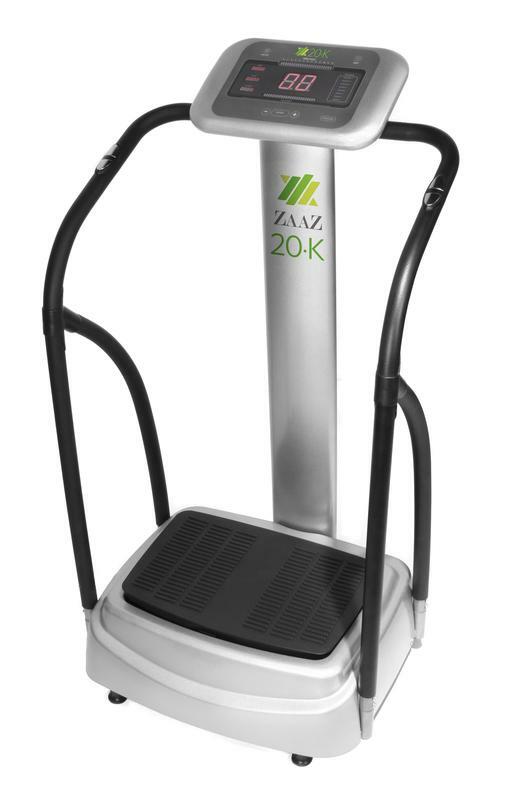 Many people buy vibration machines to improve their bone density and if it jars you, you will probably not want to use it. I will not sell certain types to people who have back problems. Contact me at 1-866-945-9072 if you need help choosing a machine. Remember, if you are under a certain weight and not using the machine for long consecutive usage, commercial linear machines are not necessary. DKN, my second best selling linear models. 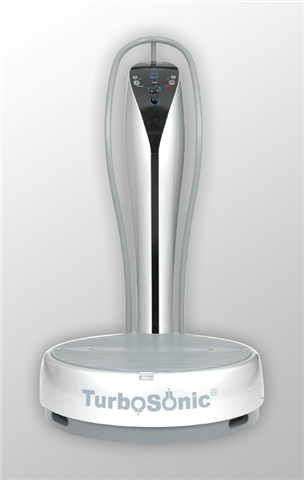 They also invented the Powervibe Zen Pro 5900, which is my best selling one but it is now sold under Powervibeusa.com. These are both very different in feel. Please take my quiz so you can pick out the right type of linear machine if linear or find out if linear over pivotal or spiral is right for you. Use our instant price quote if you want to find the lowest prices. This is the new VibeCage by VibePlate. 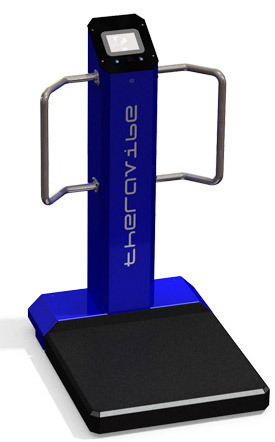 The cage is attached to the plate making the entire cage vibrate at the same strength as the plate.